Business description from prospectus - Incorporated in 1996, Worth Peripherals Limited is engaged in manufacturing of corrugated boxes. We have our registered office and manufacturing facilities situated at Indore, Madhya Pradesh. The manufacturing facility is divided into 2 units, manufacturing of corrugated sheets and boxes is done at Unit II and Unit I is engaged in conversion of corrugated sheets into corrugated boxes. In recent years, the company has won several awards such as Best Supply Partner- Packaging Material by the Supplier Collaboration Council West- 2014, Certificate of Merit in recognition of our exceptional performance towards consistent and quality supplies of Corrugated Boxes by Parle and Partner to Win Symphony conferred by Hindustan Unilever Limited in recognition of our Innovative Approach & Exemplary Contribution to Symphony. 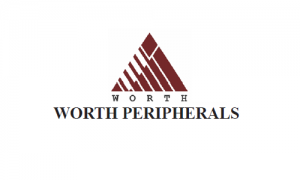 Worth Peripherals IPO allotment status is now available on Bigshare Services' website. Click on this link to get allotment status. I think as per ipo subscribe may be listing around 52 to 55 lets see. But upper ceiling is Rs.51.60. I feel that this sme issue is proved to be a attractive one among other sme issue.The listing prise will be around 48-49.we hope so.